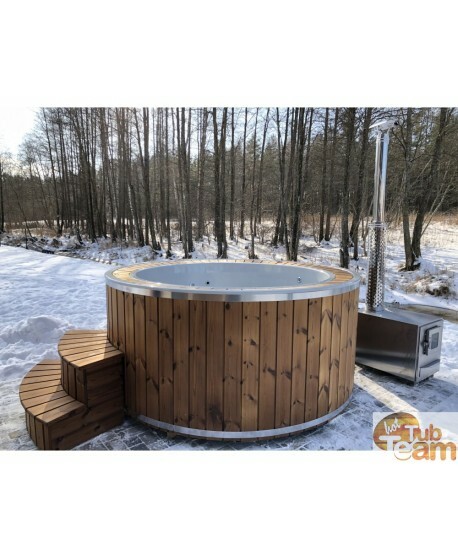 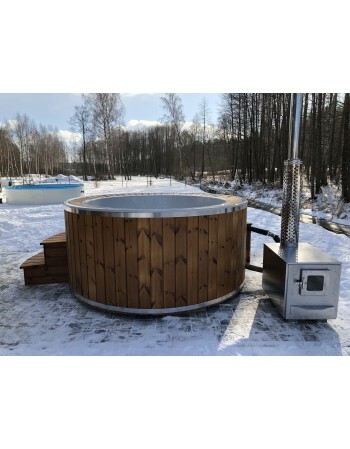 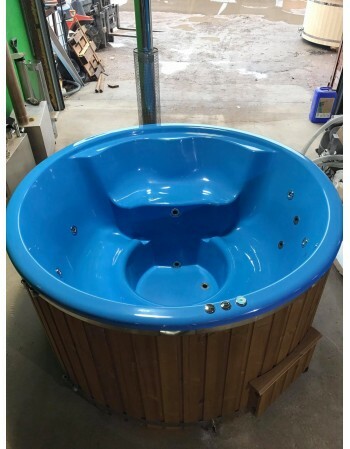 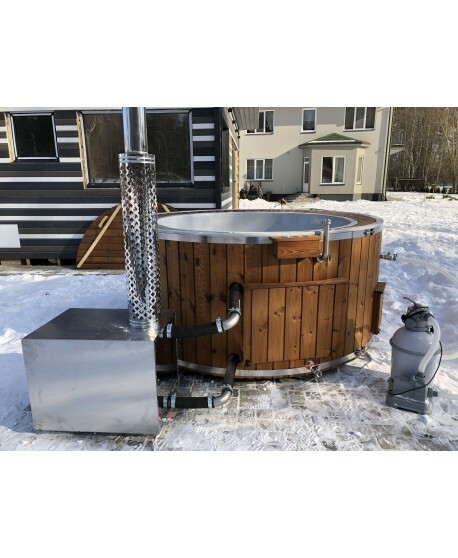 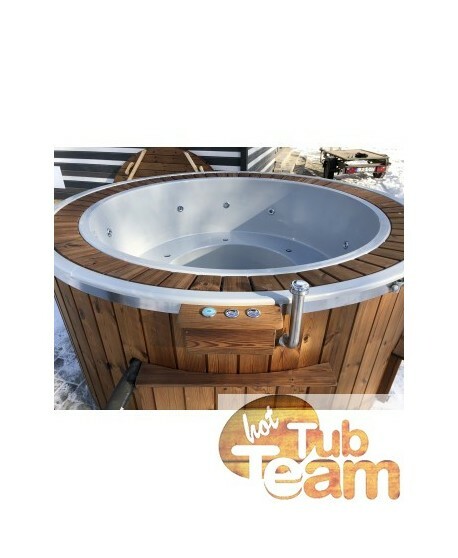 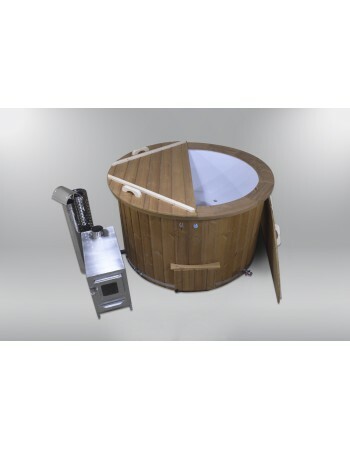 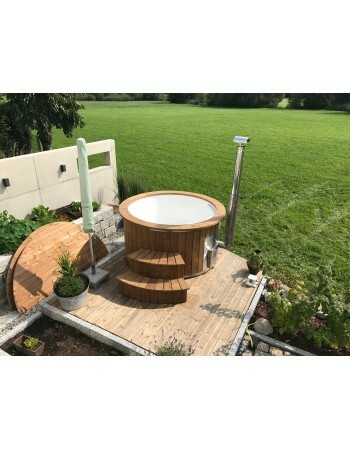 Hot Tub Team create the newest model – hot tub with overflow system. It‘s extraordinary is that water always goes to reservoir where water is cleaned through filtration system and go back to hot tub. 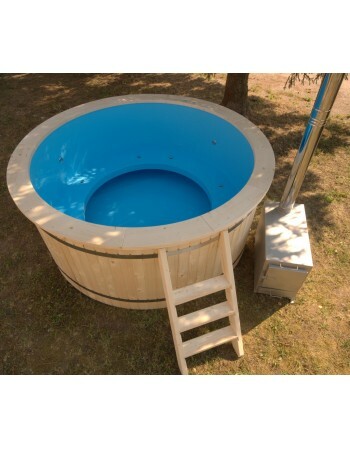 (if there is no filtration system then water goes to circulation pump). 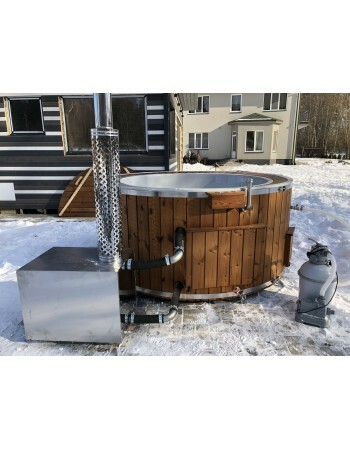 This invention let keeps water always clean and at same level. 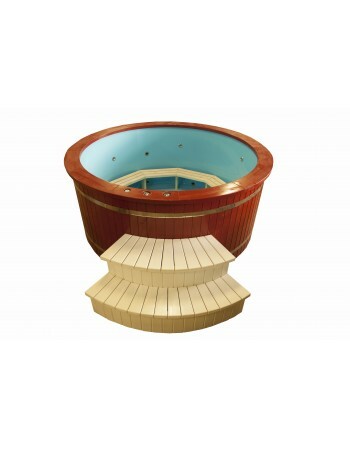 Hot tub made of pearl color fiberglass material, but You can choose every color from RAL palette. 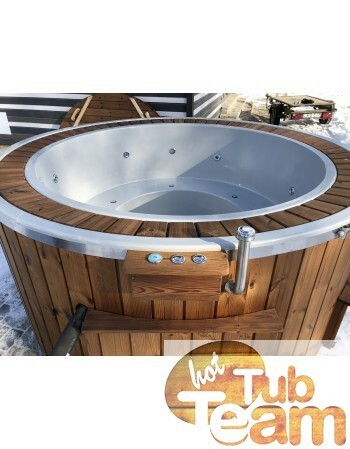 Hot tub can fits 8-10 persons. 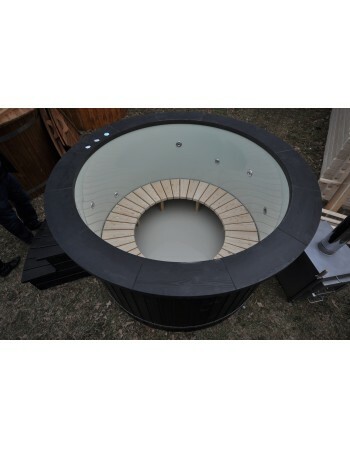 Capacity of reservoir – about 700-800 liters of water. 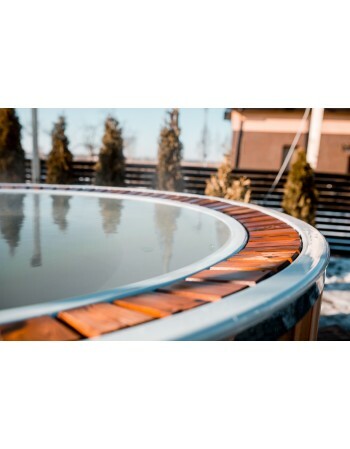 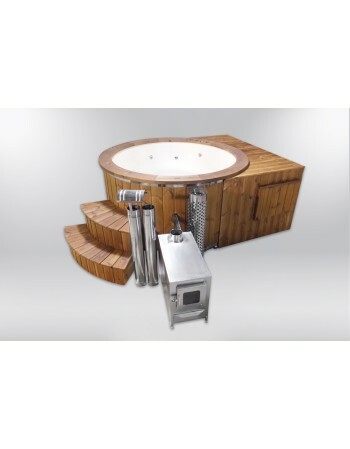 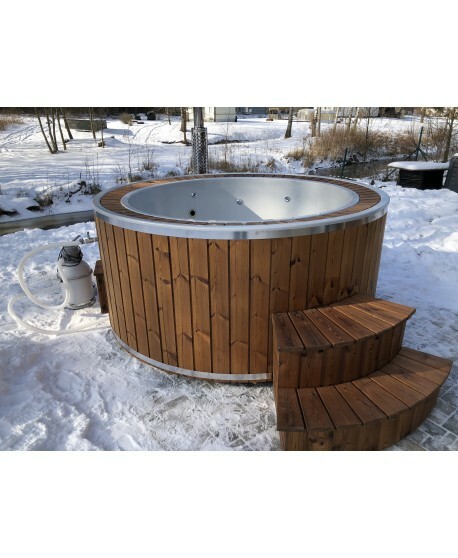 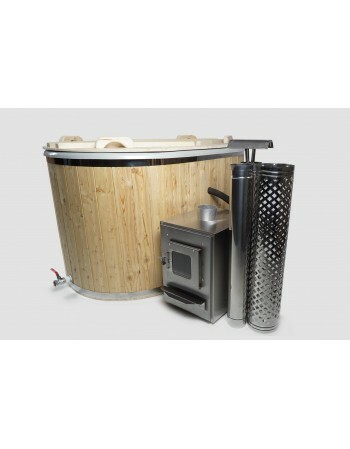 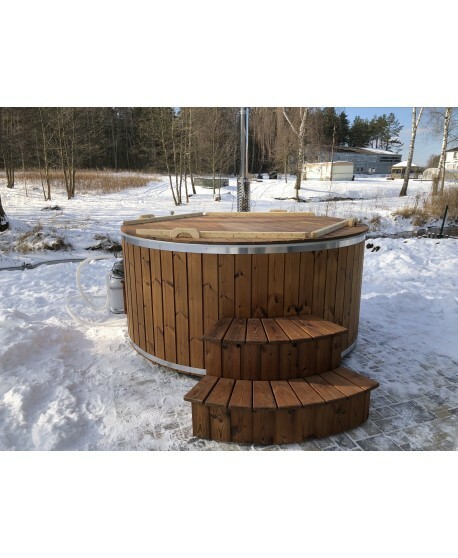 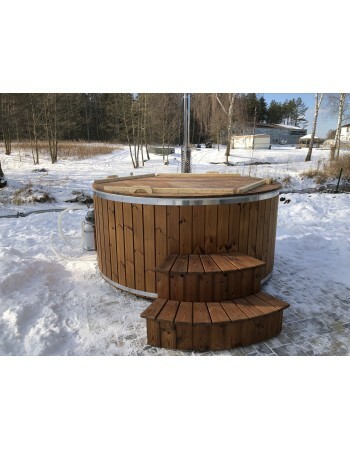 Hot tub wooden trim is form thermal wood. 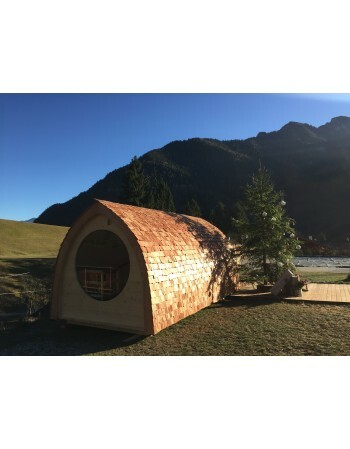 This kind of wood is thermally processed and hasn‘t any resins and has more resistant by climate changes (also can change into larch or spruce wood).